High-Viz Klim Badlands Pro & Latitude! Two of the most successful Klim jackets, the Badlands Pro and Latitude have a lot of momentum behind them. Even outside of Klim's territory, these jackets stack up lots of miles compared to any jacket in the ADV/Touring world. This Spring, these rock stars will be getting a flashy lift as they are now available in Hi-Viz! This is no old man banana suit! Progressive color blocking on an already fashionable jacket produces attractive results. 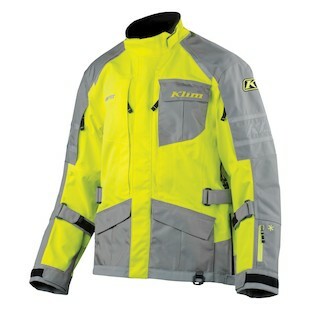 The Klim Latitude Hi-Vis Jacket comes with Gray color blocking and a healthy dose of eye-blinding yellow. 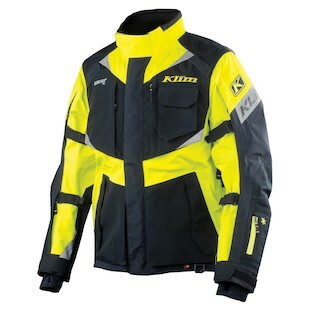 Likewise, the Klim Badlands Pro Hi Vis Jacket totes a high-contrast Black/Yellow scheme. Personally, I think the Badlands got the nicer treatment, but both serve the much needed function of combating your invisibility on the road. High Visibility clothing has definitely made its mark as a fashion statement over the past year. Gone are the days of the retina-piercing monotone yellow gear! Be safe, and ride proud. Being seen has never looked so good.